The interesting thing about photography and possibly the most important thing to know is subject matter. Being in focus also helps! But with auto focus you pretty much have that covered. So back to subject matter. Look around. simple things can become works of art. Or the right light or weather can make the ordinary extraordinary. 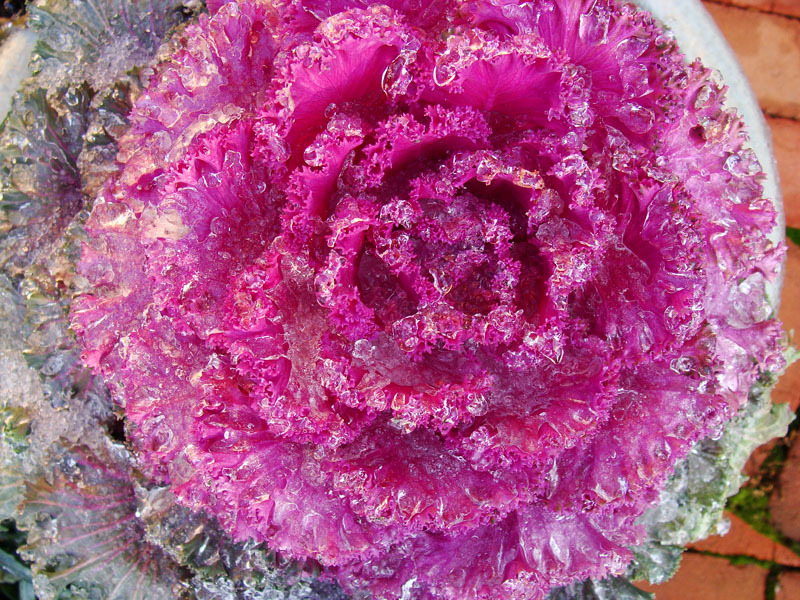 I pass this decorative cabbage on my front walkway everday and it never occured to me to take a picture of it until it was covered in a rich clear glaze of ice. It almost looks like dessert. Now I know people like to take photos of trees all iced over, it is a popular subject when the weather brings on an ice storm. 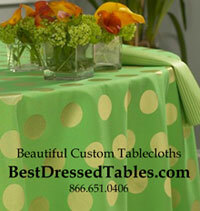 But try to think outside of the norm – look around for other things that the ice storm may have left behind. 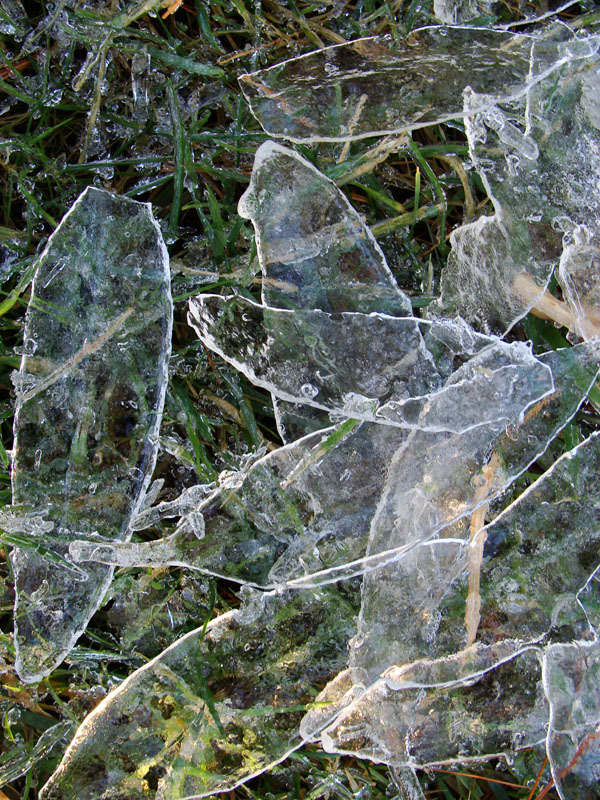 As I walked around my garden I saw all these slivers of ice in the shape of leaves. 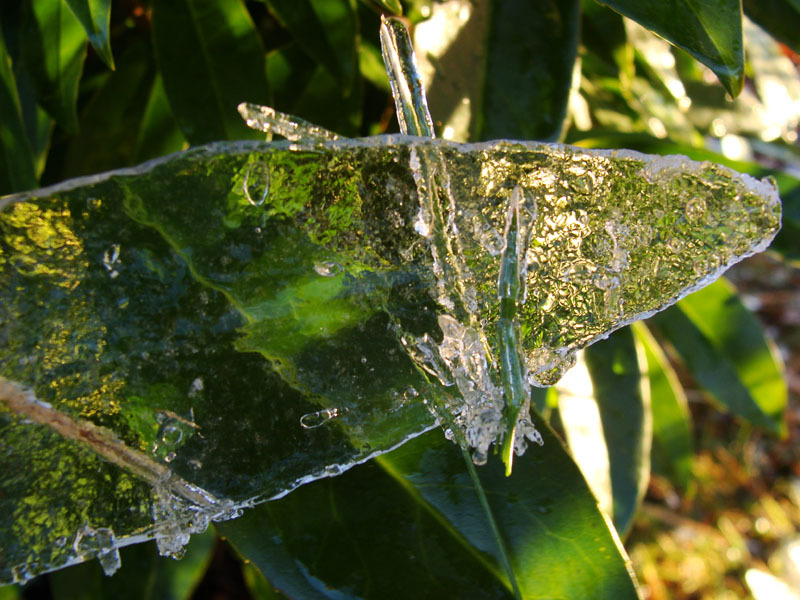 The ice had glazed the laurel tree leaves and then when the sun beamed down on them they slid off and formed a little pile of ice leaves at the base of the tree. Very cool! So as you walk around look for the magic in nature – you don’t have to go far. Sometimes it is right in your own backyard. 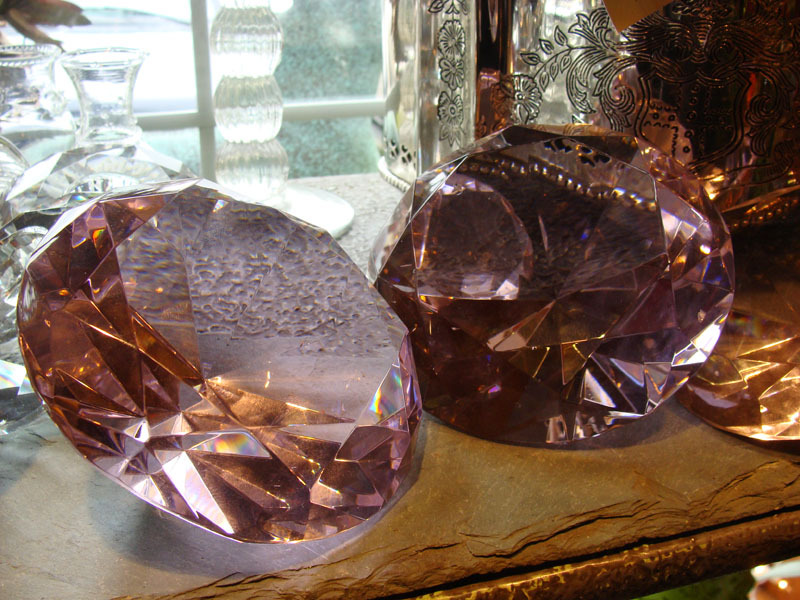 And now for some real ice, take a look at these. And no I did not find them in my backyard. Found them in B. King’s shop. How’s this for some ice!